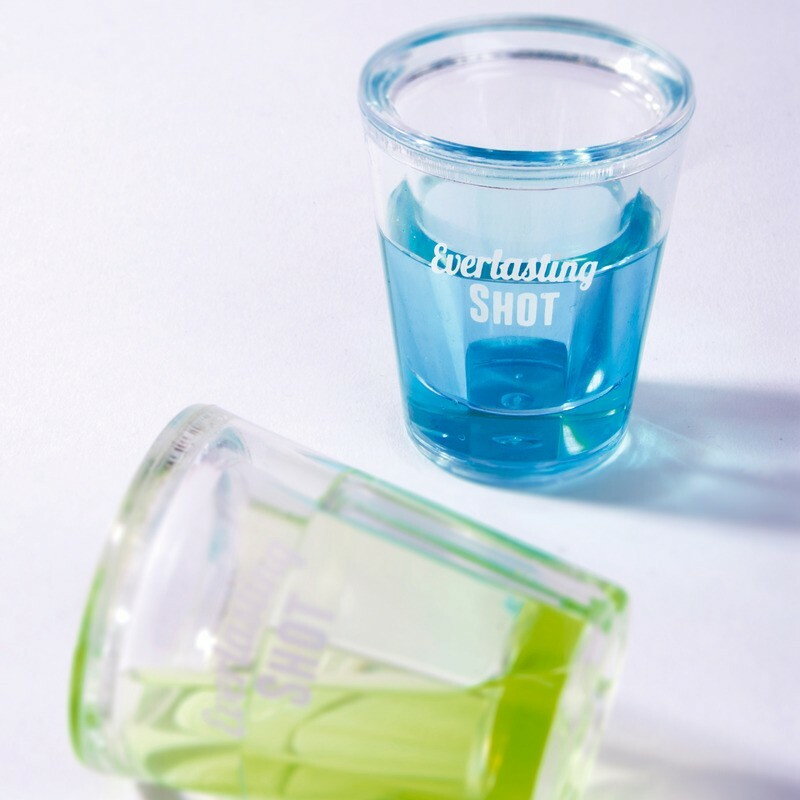 Pack of two shot glasses that freeze down to keep drinks cool. 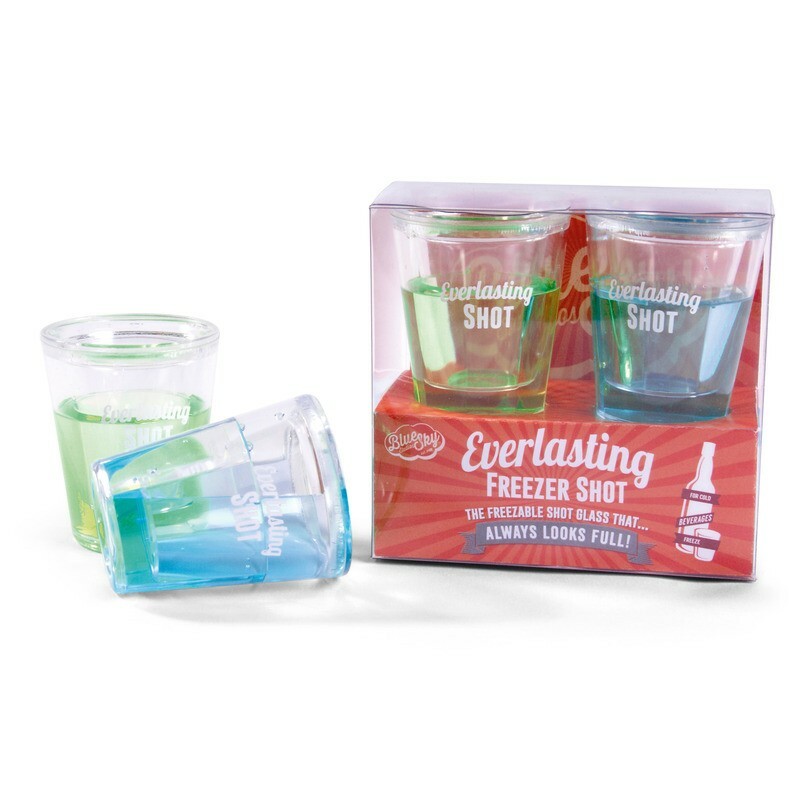 Place them in the freezer and the liquid jacket within the wall of each glass will freeze. Once frozen, remove the glasses and anything poured into them will stay chilled for longer. These prove extremely popular at parties and perfect for consumers who want to add something a little different to their kitchen cupboards.